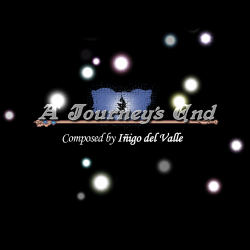 A Journey's End is a 16-track musical package for all your needs... and best of all, it's totally free! Includes battle music and various location tracks, such as forests, temples... even a credits song! All of this is amazing stuff. There are some that I know I'm going to use for my current project. How do you prefer to be credited? Ogg versions would be ideal. Are you aware of the free use limit of MP3 files? This music being MP3 makes it not a good option for indie devs. Thank you! It would be great if my name could appear somewhere in the intro or title screen, but if that's impossible, I could conform if it just appeared in the credits. About the .ogg versions, you are absolutely right. I'll be editing the pack ASAP to include them! Amazing! =) I love these tracks. Thank you! Great job, fella! I gotta implement it to my indie 2d portable runner,Ill write u when it would be done to take a deal about your benefits as a music artist of a project. Thx a lot. It s exactly what i looked for. Thank you! I'm now using several of these songs in my project "Tempest Tale" on itch.io. Hi! I am using several of these songs in one of my school project. I'm using A Forest's Whisper in the update of a game.